The following article I came across with respect to the work/research I am involved in regarding interviewing/debriefing/interrogations. There are many direct connections to crisis and hostage negotiation including: active listening, rapport building, slowing things down, having a plan, emotional control and more. Expert interrogators know torture doesn’t work – but until now, nobody could prove it. 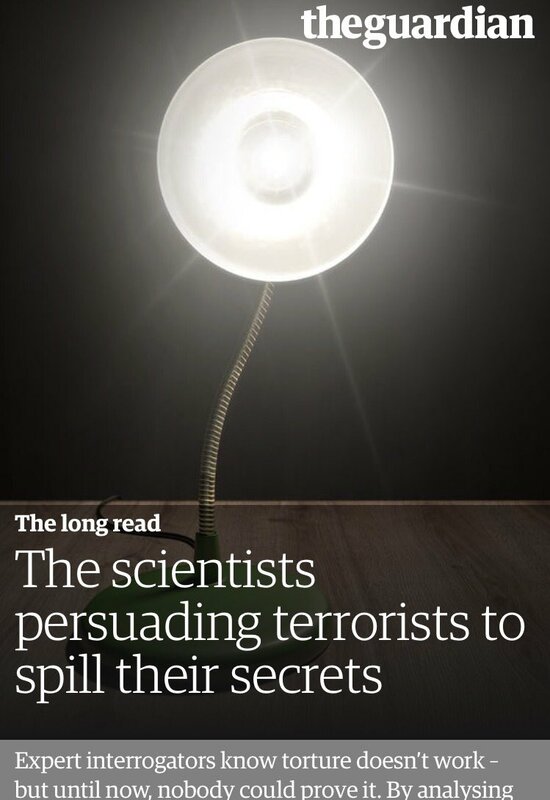 By analysing hundreds of top-secret interviews with terror suspects, two British scientists have revolutionised the art of extracting the truth. ...Watching and coding all the interviews took eight months. When the process was complete, Laurence passed on the data to Paul Christiansen, a colleague at Liverpool University, who performed a statistical analysis of the results. The most important relationship he measured was between “yield” – information elicited from the suspect – and “rapport” – the quality of the relationship between interviewer and interviewee. For the first time, a secure, empirical basis was established for what had, until then, been something between a hypothesis and an insider secret: rapport is the closest thing interrogators have to a truth serum.